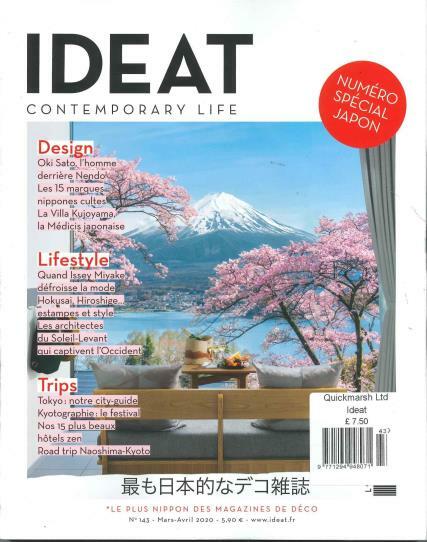 If you’re looking for travel tales, home décor guides, elegant backyard designs and good housekeeping at one place, Ideat is your ideal monthly companion. Buy a single copy or subscription to Ideat magazine. Apart from the fact that the magazine is composed entirely in French, there is nothing to dissuade you from subscribing to it online or ordering a paperback edition for your family and friends. The makers of Ideat call themselves ‘Numero Exceptionale’ and they’re not bragging - considering the kind of top notch design trends, home maintenance guides and travel articles they present. They are definitely amongst the best lifestyle magazines at the moment. Ideal does a travel schedule on a different country every month, exploring all the avenues in the vicinity. While there is nothing new about travel tales being composed, the intensity and the detailed information here fills you with awe. They not only tell you where to go and what to do, but also which markets allow bargaining and offer you discounts, which theatres present the best acoustics and the kind of cuisine you get to sample in restaurants and pubs. In addition, they also include secret traveler’s tips and measures to safeguard themselves while in that area.